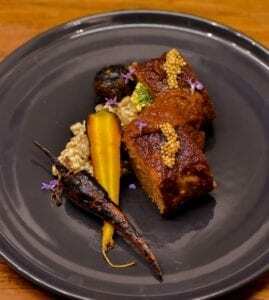 In Chef John Cox’s hands, a dish as humble as meatloaf takes a gastronomic turn into greatness at Fess Parker Wine Country Inn & Spa’s new restaurant, The Bear and Star. 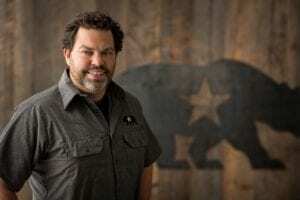 Having earned accolades for his ventures in micro-regional cuisine at Sierra Mar Post Ranch Inn in Big Sur, John is now the leading force behind the vision and culinary team for The Bear and Star, which just opened this past spring. Like the late Fess Parker, John hails from the Lone Star state but also calls California home. 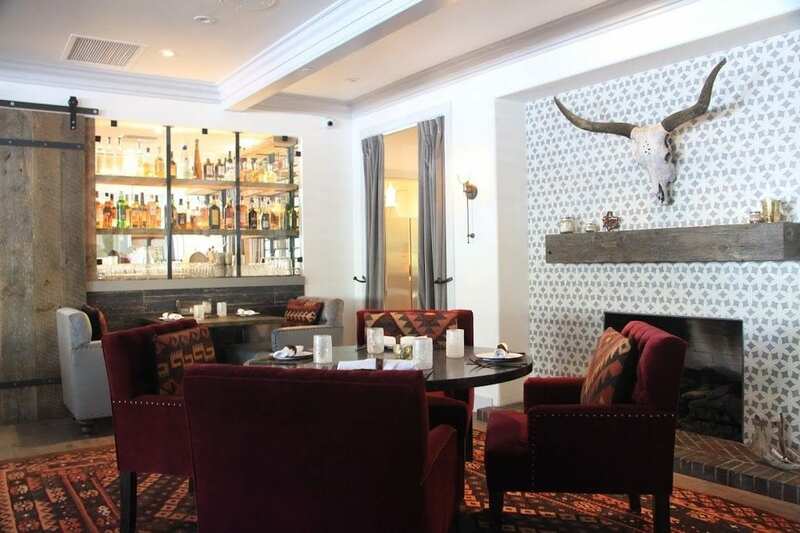 In developing The Bear and Star, John sought to combine the techniques of a chef with both the Parker family heritage and his own to create a “refined ranch cuisine” that draws upon California’s bounty. With the meatloaf, John aimed to create the best possible version of the dish using Waygu beef raised just seven miles away on the 714-acre Fess Parker Home Ranch. The meatloaf is topped with a rich, house-made ketchup using tomatoes grown on the ranch and smoked on-site. Sourcing the meats and vegetables almost exclusively from the ranch, John is kicking the concept of farm-to-table dining up a few notches. “We wanted to create a sustainable eco-system on a scale that has meaning,” said John. The ranch is raising 120 head of Waygu cattle on the spent grains and pomace from the Parker family brewery and winery. The manure from the cattle in turn feeds the organic vegetable gardens. The ranch is also raising chickens, quail, rabbits, pigs, and bees and tending to over 200 hundreds of acres of orchards and vineyards. 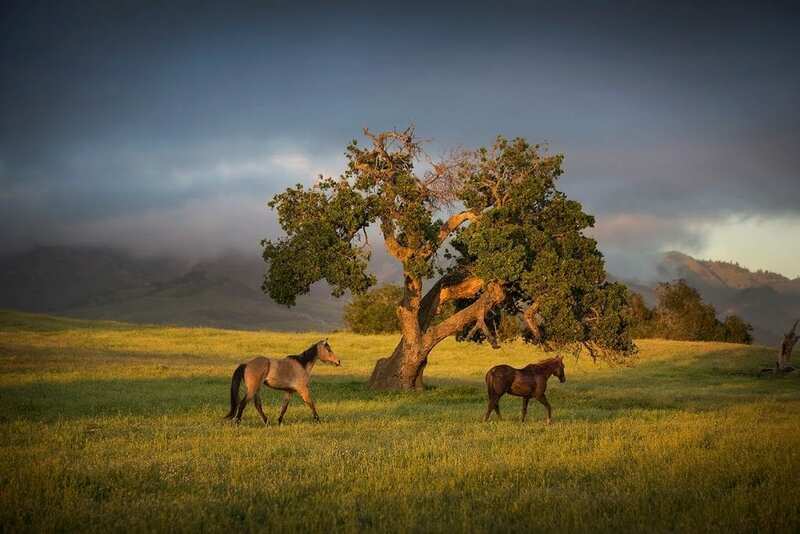 Horseback tours of the ranch are available.The menu is for the restaurant is dictated by the ranch and changes daily. The night my husband and I visited, we were treated to a number of John’s sophisticated riffs on classic Southern fare. The piping hot, cast-iron cornbread featured a delicate honey glaze. The fried green tomatoes were served with watermelon and unexpectedly well-paired cheese sauce. Queso-stuffed jalapenos were wrapped in bacon and served with a smoky chipotle sauce. The brined, double-cut pork chop was perfectly prepared with a slight smoky edge and served with cheesy grits and wine-braised cabbage. We finished the meal with chess pie topped with fresh berries and whipped cream. The service is generous, friendly, and unpretentious. The décor is a cozy cowboy chic. Sliding barn doors open to a dining room with oversized, brass tack upholstered chairs and throw pillows with a Southwestern vibe. A longhorn skull hangs above the fireplace. The adjacent Chef’s Room is an inviting, light-filled space lined with bookcases holding the chef’s personal collection of cookbooks, backlit displays of pickled vegetables, and a viewing window into the kitchen. Hidden behind a wall of wine with rolling doors, the restaurant’s Wine Room is a discreet and glamourous venue for intimate gatherings with a grand dining table, tufted red velvet chairs, and state-of-the-art, temperature-controlled wine storage. Nearly all of the dining implements are locally sourced. The restaurant’s ceramic dinnerware is made by Rolled Oats Pottery a few miles away in Solvang. The water glasses are hand-blown in Santa Barbara. The leather placemats, linen napkins, and star-shaped iron trivets are all locally made. John has even designed a special wooden room-service box with a drawer for holding a bottle of wine and unique ceramic dinnerware that can both stack and cover dishes to be delivered to the room. While the restaurant is a star attraction, the accommodations at the Fess Parker Wine Country Inn & Spa are nothing short of sublime. 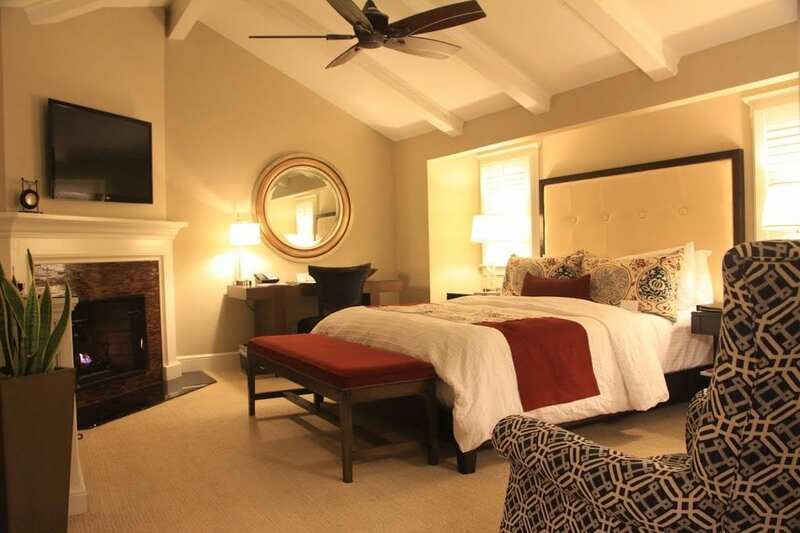 Our room was a spacious suite with vaulted ceilings, two gas fireplaces, a luxurious king-size bed, and two separate seating areas with stylish furnishings in red, cream and blue hues. The enormous tiled bath featured a soaking tub, glass shower, and a wide vanity with two vessel sinks. The suite also featured beautiful built-in cabinetry, a wet bar, wide-plank wood floors, white plantation shutters, and framed sepia-toned photographs of the Santa Ynez Valley. 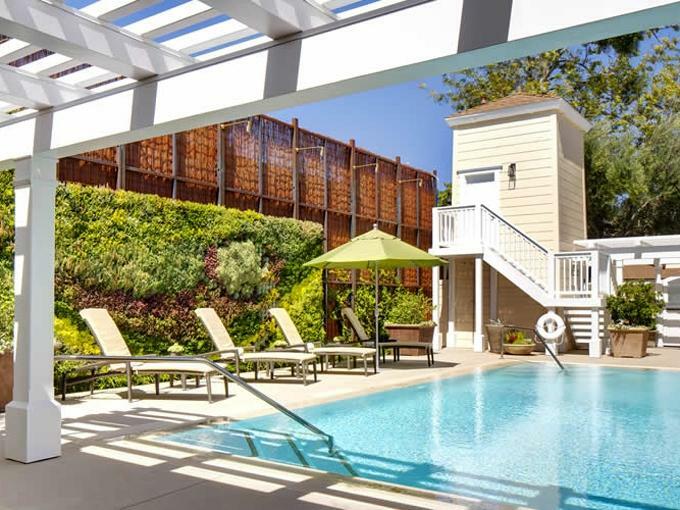 The inn also features a beautiful rimless swimming pool with a shaded arbor and fire pits and an on-site spa offering a variety of esthetic and massage treatments. Second, third, fourth, fifth and seventh photos courtesy of Fess Parker Wine Country Inn & Spa. Other photos by Ranee Ruble-Dotts for CABBI.